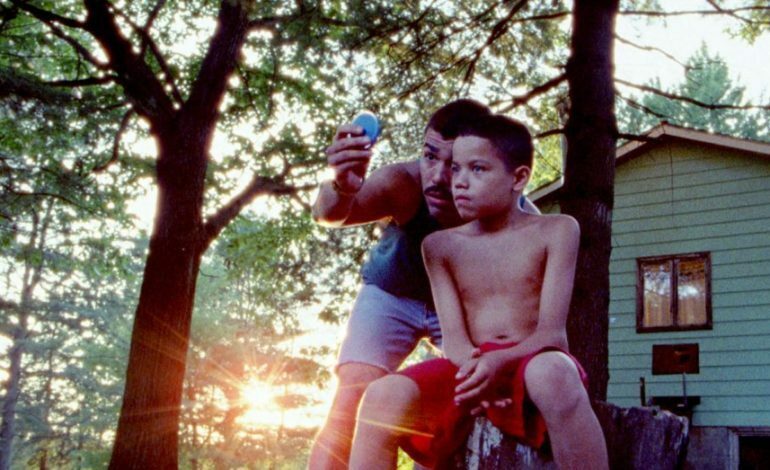 We the Animals is the feature-length debut for writer/director Jeremiah Zagar based on the autobiographical novel from Justin Torres. The story revolves around Jonah, the youngest of Puerto Rican brothers who grow up as their parents fight more and more. I went into this movie not know much outside of the premise, so I was ready for it to depress me as a result. However, I left the theater thinking that We the Animals is another pleasant surprise that will sadly not garner a large enough audience. For starters,We the Animals is up there as one of the most technically superb indie movies of the year. Zagar originates from a documentary background and it absolutely shows as he places the camera in ways that blew my mind; I can’t even describe them because they need to be seen to be believed. Additionally, the cinematography from Zak Mulligan is noteworthy since it has a grainy quality that makes the film look as if it is a home movie. Keiko Deguchi and Brian A. Bates edits the film in a way that does not make it feel overly convoluted without relying on a basic sequence-of-events. Moreover, We the Animals presents several hand-drawn animated sequences that reflects what’s happening with Jonah. They are creative and powerful while also giving the film its own voice. I haven’t even mentioned the fantastic musical score from Nick Zammuto. He composes these haunting electronic compositions that make what is on screen feel otherworldly. The lead performances are another shining achievement for We the Animals. Working with children is difficult especially for a feature-length debut, but Zagar somehow pulls it off. All three lead child actors are believable as children especially when they are energetic and use imagination as a way of escape. One example is when their father Paps bangs on the side of a truck in frustration and the children all start banging on the truck in response as a sign of happiness. Those kind of scenes make the film a bit less depressing. Speaking of parents, both actors who portray them are great. Raul Castillo excels as the father who wants to look after his children while trying to take care of his own demons. Sheila Vand is also terrific as the boys’ tender mother who does not want her youngest to grow up. Zagar co-wrote the screenplay with Dan Kitrosser and their work here together is exceptional. If I had to make a comparison, this film is similar to the 2017 Best Picture winner Moonlight because both are about a boy growing up in a world that does not understand him. However, what separates We the Animals from Moonlight is that the former is more about the constantly shifting dynamic that Jonah shares with his two older brothers. Moreover, Kitrosser and Zagar employ out-there imagery that does not feel out-of-place. Where most independent movies move slowly (not usually bad), We the Animals moves quickly as these three impoverished boys are looking for an adventure and I was invested throughout the short ninety-minute runtime. I have one small issue: an important scene occurs but the film does not show or explain a proper aftermath. That may have been the filmmakers’ intention and I missed something but it still felt odd on my first viewing. We the Animals is not an easy watch, but it is a satisfying one nonetheless. An inventive and gripping coming-of-age story with terrific child performances and stellar direction. Anyone looking for a feel-good movie should avoid this one but everyone else should see it either in theaters or at home.